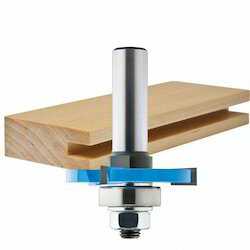 Providing you the best range of wood router cutters with effective & timely delivery. Wood Router Cutters offered comprise carbide tipped metal working tools and saw that are precision designed for meeting operation needs of metal cutting industry. Providing for longer service life, these are suitable for applications involving sizing, grooving and finish-cutting in areas where high cut quality is desired. Being used in machining center, overhead routers and other systems, these cutters are suitable in shaping, trimming & cutting the wood including of timber panels. We make these available in different blade diameter options.